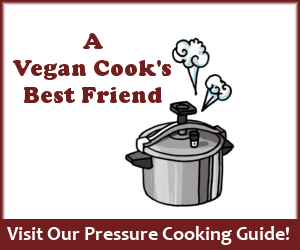 Learn all about pressure cooking soup. It's so easy! We teach you everything we know about how to mix and match ingredients to make easy soup you will love. Hubby Jeff makes the BEST soups! In fact, that was the first thing he learned to cook circa 1999. His first soup was called Sloopy Soup -- we have no idea to this day why! But MAN was it good. The thing that made me so crazed is that I was a really good cook, but I relied on recipes to pull me through. Over the years, he's become a VERY good cook in his own right. He's even learned how to work a pressure cooker and now he makes soup in that instead. So I asked him to write this article for you so he could share some of his secrets. To start with, soups are thinner and have a more liquid consistency while stews are really just thick and hearty versions. You can make both using a pressure cooker. The trick is to time your soups to the ingredient that takes the longest to cook. If you combine lentils with black beans, you would need to pressure cook the soup to make sure the black beans fully cooked, 9 minutes. 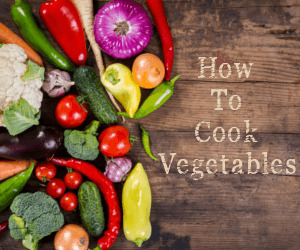 Vegetables will typically cook at least as long as any legume or grain. 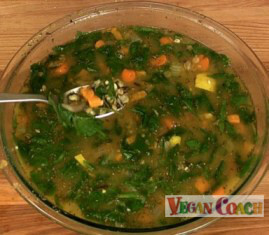 If the soup finishes cooking and you notice that one or another ingredient is not fully cooked to your satisfaction, you can always cook it for another few minutes, as long as you have not added any ingredients that soak up water or expand too much. Always ensure that you have plenty of water in the cooker to boil. To not only add volume but also to thin out a thick stew to make it more soup-like, add broth to the mix. When you do this you can also add other ingredients such as wilted spinach or vegetables that don't need cooking (like summer squash/zucchini). Or, you could steam some veggies or use some leftovers. 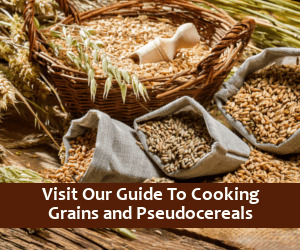 You could also add legumes or grains that have already been recently separately cooked. In other words, you can always further modify any soup creation with additional liquids and no- or low-cook, or pre-cooked ingredients. Remember always that in the initial cooking situation the volume inside the cooker should never exceed the 2/3 mark. This is so that you leave enough room in the cooker for the steam to create pressure. Approximately two cups of veggies. Cook these ingredients while you heat up an additional four cups of veggie bouillon. When the cooker finishes, you can mix the two together and add in your favorite seasonings and any additional veggies. Remember when you pressure cook anything, you must not add seasonings or broths to the soup until after the cooker has done its thing. Because small pieces could easily clog the valves. As always, it is the seasonings and flavorings that will make your soup stand out. 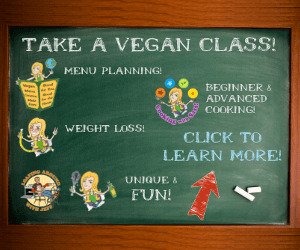 For some ideas of what you can add to your soup, be sure to check out the Vegan Coach Flavor Matches. 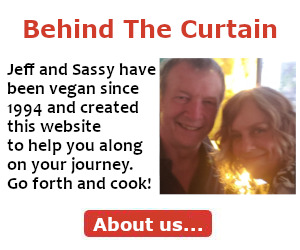 Soon you will find that creating your own culinary masterpieces is not only a total blast, but you will also gain a great feeling of accomplishment because you are taking control of what you eat and you and your family will be amazed at how good home cooking can truly be. Hope you have enjoyed this little tutorial. "Thanks for the website. The "create your own recipe" feature has been really helpful and I've even recommended it to non-veg friends."